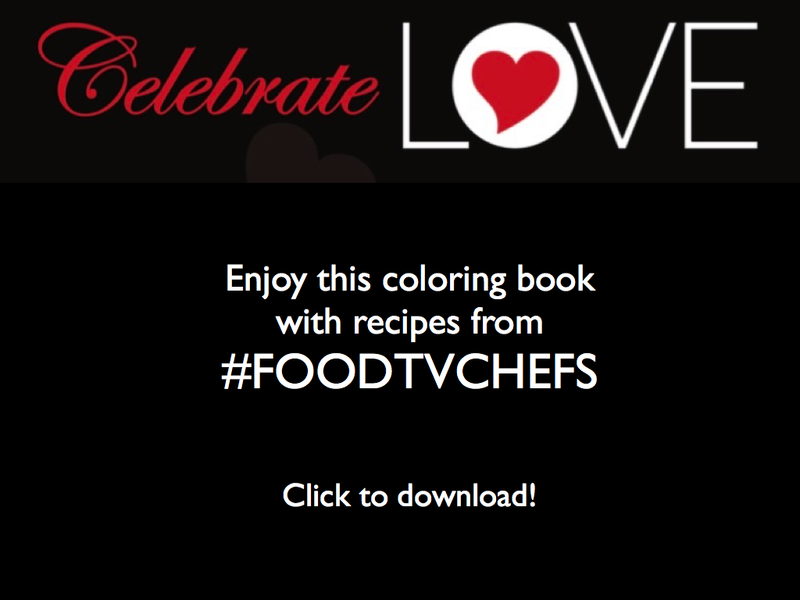 #FoodTVChat is excited to welcome Chef Meghan Gill this Thursday at 7PM Eastern. Chef Meghan is the last of two finalists on Season 14 of Gordon Ramsey’s Hell’s Kitchen on Fox Broadcasting. 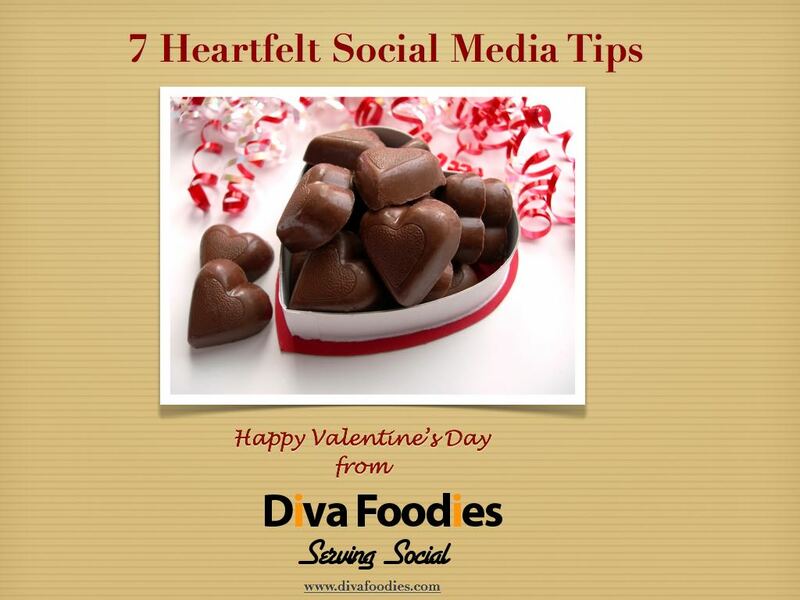 You won’t want to miss this #FoodTVChat now will you?! Only Chef Meghan and T Gregoire remain after last night’s Hell’s Kitchen. The exciting season finale is next week, June 9th. Bring your questions for Chef Meghan this Thursday to #FoodTVChat— and no she won’t be able to tell you if she is packing for Las Vegas and the head chef’s job at Gordon Ramsey’s Pub and Grill at Caesars. That you will have to wait until June 9th to find out. Most everything else as you #FoodTVChat regulars know, is open for discussion! Chef Meghan is currently the executive chef at Stefano’s On The Market in Roanoke Virginia. Originally from the DC area, she began cooking when she was 19 (she’s 28) and trained in French cooking at L’ Academie de Cuisine in Maryland. As fate would have it, Meghan had just quit her job 2 hours before a friend of a friend sent her a text message telling her that Hell’s Kitchens was looking for contestants for Season 14. 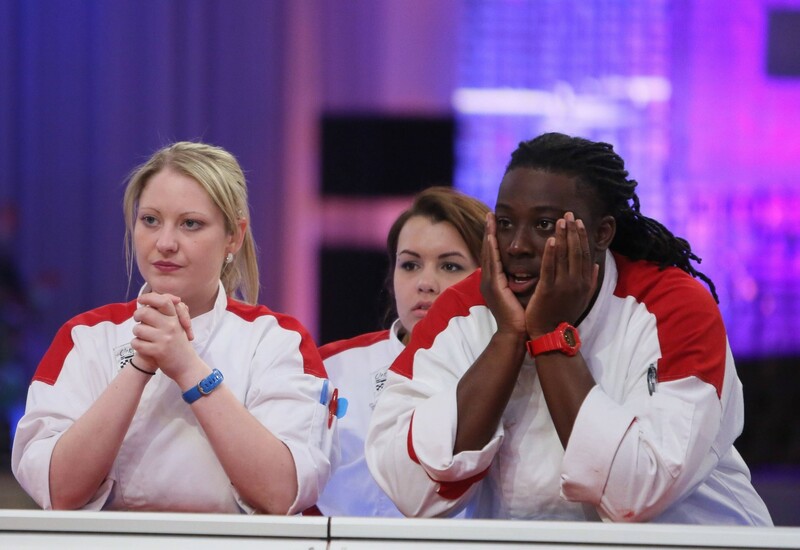 She decided to “go for it.” After being selected to compete, her first introduction to Gordon Ramsey and the other contestants was also the occasion of the first Hell’s Kitchen challenge … jumping of the roof of the Hell’s Kitchen set. Can you image? The actual cooking may have been easier after that! 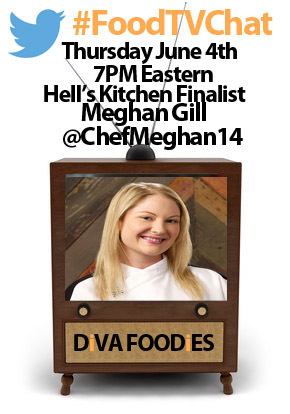 Maybe we will have to ask Chef Meghan about that Hell’s Kitchen challenge Thursday on #FoodTVChat. 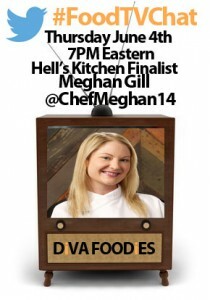 Please join us, 7PM Eastern #FoodTVChat when we chat with Guest Chef Meghan Gill days before the finale episode. And Chef Gordon Ramsey, we would love to have you visit!